Last year, we were awarded our 6th Green Flag for Global Diversity - Litter and Waste. Our lovely new flag is flying proudly on our school flagpole. This year, we are in the first year of a two year cycle working towards our 7th Green Flag; Global Diversity - Energy. We will focus on energy for the next two years while also continuing our work on Litter and Waste, and striving to spread further knowledge and awareness of Conflict Palm Oil (an exciting campaign which we began last year). Watch this space for more information on our new plans for our Organic Garden. We are currently investigating proposals for the development of the garden and the planting beds. We will be looking for volunteers for a "Meitheal" in the next few weeks so get your gardening gloves ready! 1) Don’t Palm us off! 2) Recycling is good, wasting is bad! We want a world like we once had! 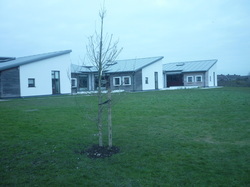 3) Glas ar scoil, Glas i gconaí! 4) When you taste do not waste! 6) The power of green will keep Ireland clean! 7) Don’t Litter! Slam Dunk your Junk! Click on our video to check out our Action Day in December 2015! Our Green School Council for 2015 - 2016 has been elected and it is composed of children from 2nd to 6th classes. We are working towards our 6th Green Flag on the theme of Global Citizenship. We have a number of projects to work on this year and we will keep you informed of them regularly from this page. Our first project is a Global Environmental Crises. Our Green School Council are increasing awareness within our school community of the Environmental Crises which surrounds the production of Palm Oil. Palm Oil is a global commodity which is used in an extensive range of everyday products. The production of Palm Oil is causing major environmental problems because of mono-cropping, deforestation, smoke pollution and the extinction of some of our very precious species of wildlife. Our Green School Council is informing our school community about this global crises and they want every one to play their part to reduce and where possible, eliminate, the purchase of "Conflict Palm Oil" products. What else are we going to do? December the 11th is our Orange day of Action; we are encouraging our school community to wear orange on this day to indicate our commitment to this important project. We will learn more about this crises in our classrooms throughout the week with lessons about the endangered species, deforestation, the uses of palm oil and the options when shopping for ethically produced palm oil products. Please wear orange to support our campaign! We will have a number of competitions to raise awareness including an art competition, a poetry competition and a Best Orange Outfit Competition. Please read our Green School Council Statement which is being delivered to the whole school at our special Green School Assembly and check out the following links to learn more about this crises. 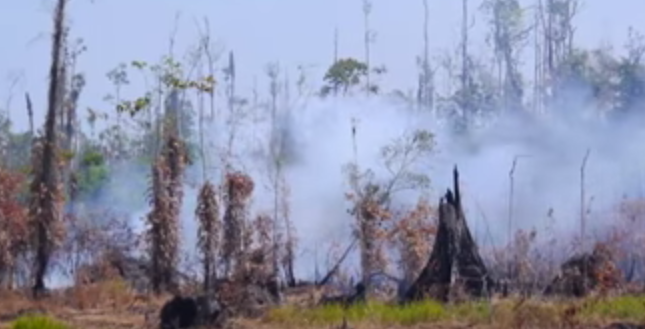 ​A short animation to explain the issues surrounding the production of palm oil. ​Palembang, Indonesia; forest clearance fires for palm oil plantations that cause environmental, economic, political, and health problems throughout Southeast Asia. How do we know if our shopping trolley has Palm Oil in it? 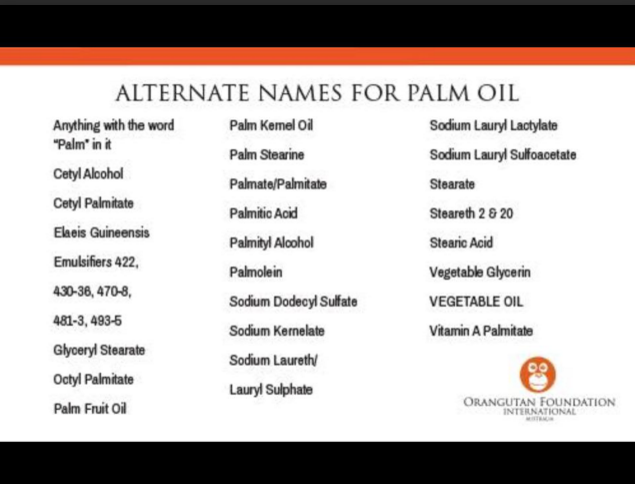 For more information check out this website and also the Alternate Names for Palm Oil. Many products contain palm oil but it is labelled under a wide variety of names. 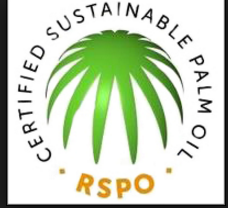 Look for the RSPO label to ensure you purchase products made with certified sustainable palm oil. This label gives you the confidence that the palm oil was produced in a socially and environmentally responsible way. Click on the RFUK Palm Oil Guide to find out how to become an ethical and responsible shopper. Watch this youtube clip to see an orangutan communicate in sign asking for help to save the rainforest. Our Trip to Shantalla Primary School to meet their Green Schools Committee! Let's see what they have been up to! 2nd May 2014 Green School Committee's visit to Seeed Saver's Association in Scarriff, Co. Clare! Slideshow of President Higgins' official visit to our school. The Pupils of 5th and 6th Class and members of the Green School's Committee got together to make a movie of our school biodiversity trail. The trail was officially opened by President Michael D Higgins on Friday the 28th of September 2012. Many Thanks to all the volunteers who gave up their free time last saturday morning 16th June to help out in our school garden. 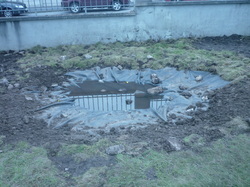 We tidied up the rockery and did some work on the pond. Everyone got nice and muddy along with having plenty of laughs! We were all rewarded with some yummy cake left in by Jamie Street that morning....what a great day! This oak tree can last up to 100 years! 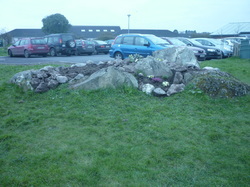 This is our new rockery! It Rocks! This is our new pond. It is not finished yet. We are making a nature trail this year! We would like if people could help.we will be making a bug hotel, pond, rockery an bat area, a butterfly area a bird watching area and lots of other interesting things. 1st Class got the opportunity to help in making a marigold petals and oil ointment. Martina with the help of Dennis, Jack and Racha, took us outside to the school garden where we picked a few marigolds each. We went back inside and plucked the petals off, and then tore them up into little pieces. Dennis, Jack and Racha then had the exciting job of mixing up all the ingredients to make the ointment! Thanks Martina, Dennis, Jack and Racha. 1st Class really REALLY enjoyed the activity, and here are the photos to prove it! Why is biodiversity so important to us? Do any of the activities you carry out utilize natural resources? Do our activities affect biodiversity? Do you know of any plants/animals/fish that have become extinct in recent years? Why is there a need to protect biodiversity? Can you list any threats to biodiversity? Do you know of any protected areas near your school/home? What is an introduced species?